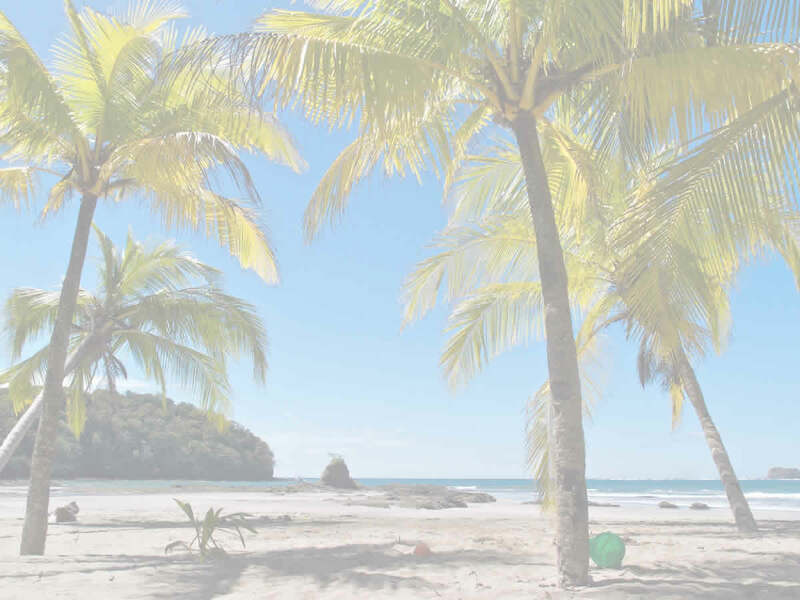 Living with a Costa Rican host family is a great way to learn more about the culture while also having another place where you can practice your Spanish. Coastal Spanish has carefully selected a number of families to help make your stay enjoyable. Typical families will host one to two students at a time. 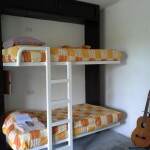 Each student will receive his/her own room and will get two meals per day (breakfast and dinner). Additionally each student will get a key to allow them to come and go as they please. 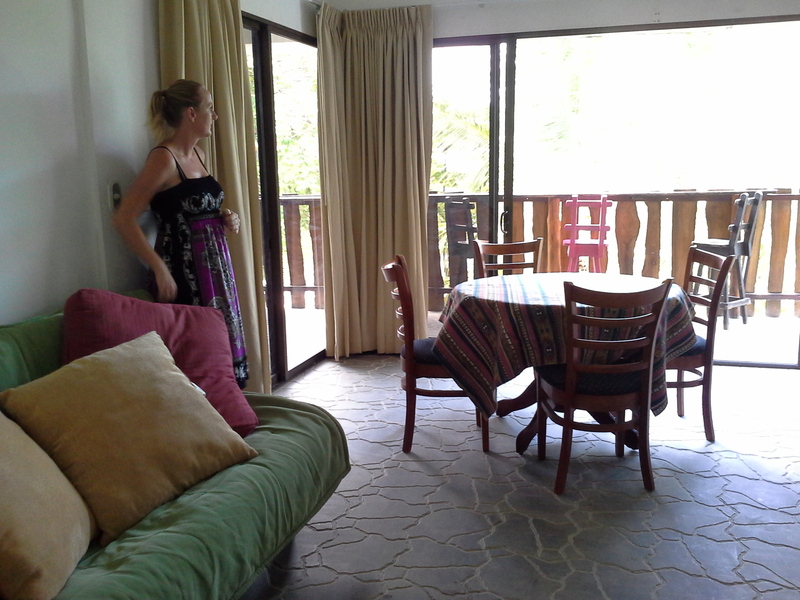 The homestays can be considered relatively small and basic. However do not let this deter you. 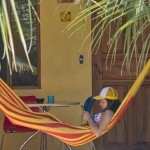 Costa Rican are well known for their hospitality! 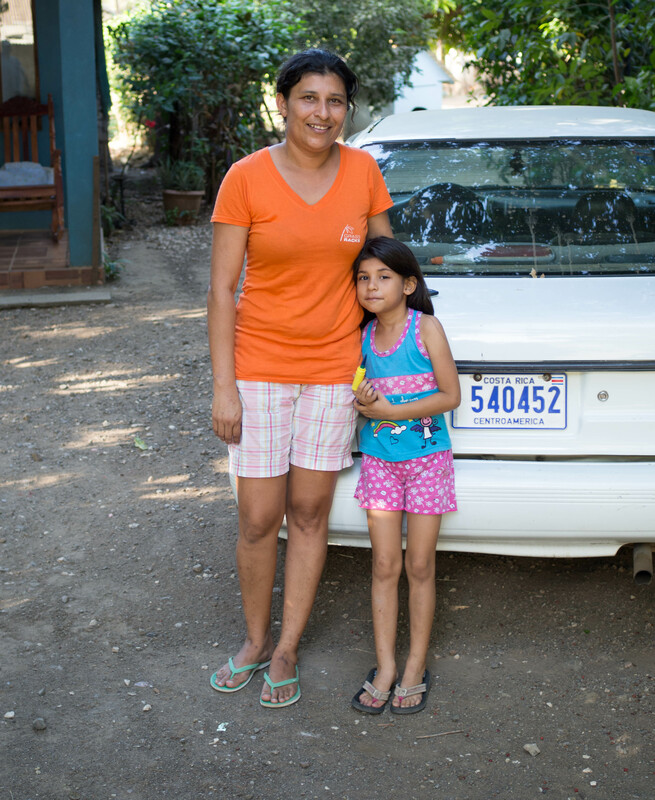 The vast majority of our host families are located in the towns of Santa Rose and Villa Real. These towns are approximately 3-5 miles from Playa Tamarindo. There is regular and cheap public transportation between these towns and Playa Tamarindo, so getting back and forth will not present any difficulty. Buses run from early in the morning to early evening. Taxis are available at virtually any hour. Coastal Spanish provides morning and evening shuttle service for students staying with host families. Pick up in the morning is at 7:15 and 7:30am and drop off is at 6pm. We have a nice residence located on the top floor of the school. You could not ask for a more convenient or central location! 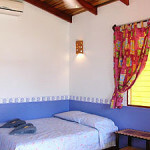 This is a very popular accommodation choice for our students because it is on the beach and in the center of town. 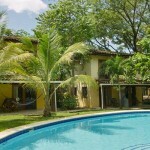 It is also a particularly inexpensive option, when compared to any other beachfront lodging option in Playa Tamarindo. 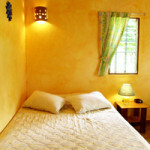 The Residence is a shared accommodation only option, there are no private rooms. St udents also share the bathroom facilities. 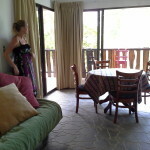 There is a large kitchen, an indoor living area and an outdoor beach facing patio. There is a maximum of 3 students per room. There is air conditioning, cable TV, high speed wireless (bring your laptop) and lockers for each student. The residence option can best be described as basic but comfortable. We would say it is akin to a nice hostel or college dorm. Important note: Space is limited, so it is important for students to register early in order to secure a space in this option! 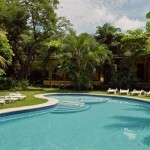 Located less than a five minute walk from Coastal Spanish is the beautiful tropical oasis, Villas Macondo. Students looking for a more private and tranquil setting will love this option. 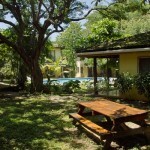 This small boutique hotel has a number of small bungalows that surround a lush garden and sparkling swimming pool. 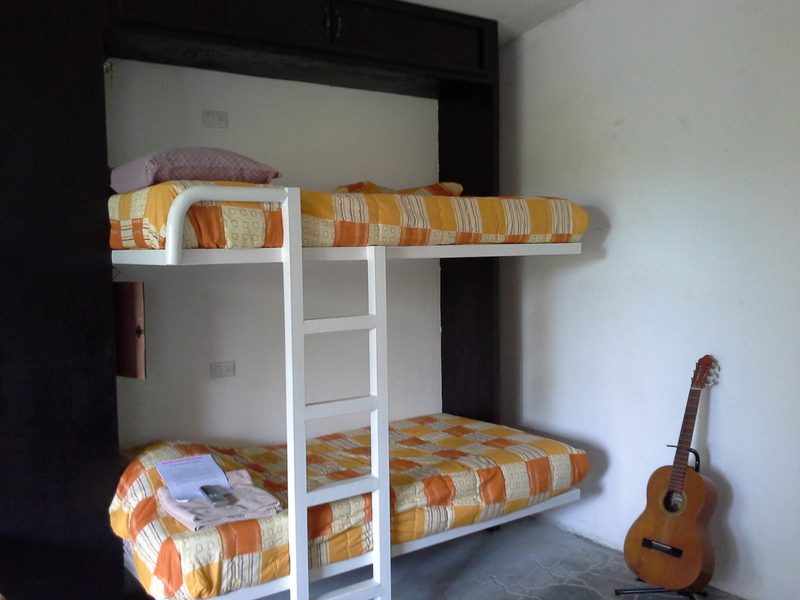 Students share rooms with A/C, private bath, safe, free wifi, and an outdoor patio with hammock. 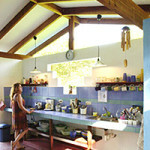 There is a shared kitchen as well as an internet room with two computers and secured parking. Important Note: It is important to register early due to the fact that space in the hotel is limited and so it fills up fast!